We are engaged in Manufacturing, Exporting and Supplying of Aluminium Friction Hinges in the international markets. These Aluminium Friction Hinges are ideally used on heavy doors. 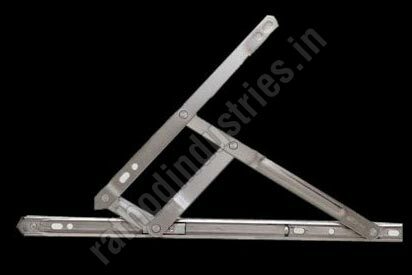 The Aluminium Friction Hinges are made using high grade material and advanced techniques. We provide Aluminium Window Friction Hinges at very reasonable rates.Special Attributes Rugged constructionCorrosion resistant FlexibleLong lasting Installed At Homes Offices Shops.